There’s no one single best way to enjoy the game of golf. Some people love playing the game, while others would rather just watch it on TV with their friends over the weekend. Others want to be more involved and play in fantasy golf leagues with their golfing buddies. Some want to do all of these things. Really, there’s no right or wrong way to enjoy the sport. It’s all about what gives you the most enjoyment. However, exploring new ways to approach the game can be eye opening for many people, especially if they’ve never considered their options here before. There’s no question that a morning out on the links with a few friends is fun. Golf is undoubtedly an athletic endeavor, but it’s not one that is restrictive like other sports. You don’t need to be in peak physical shape to be a decent golfer, although this does help. Instead, you will find people out on the course that are overweight, smoking cigars (depending on course regulations), drinking beer, or any number of other things that are not typically associated with athletes. This is part of what gives the game so much allure; it’s a sport, but it’s something that can be enjoyed by athletes and non-athletes at virtually the same level. One thing that turns people off when it comes to playing golf is that they see it as something for just the upper class, or something that requires a huge financial investment. You can spend a ton of money on golf if you want, but you don’t need to. You can rent clubs at many places, and there are a ton of municipal courses out there that do not require membership fees. This can take a lot of the cost out of the game. It’s not free, but you don’t need to spend thousands of dollars a year on the game if you do not wish to. It only makes sense that if you enjoy playing golf that you will enjoy watching professionals play on television, too. 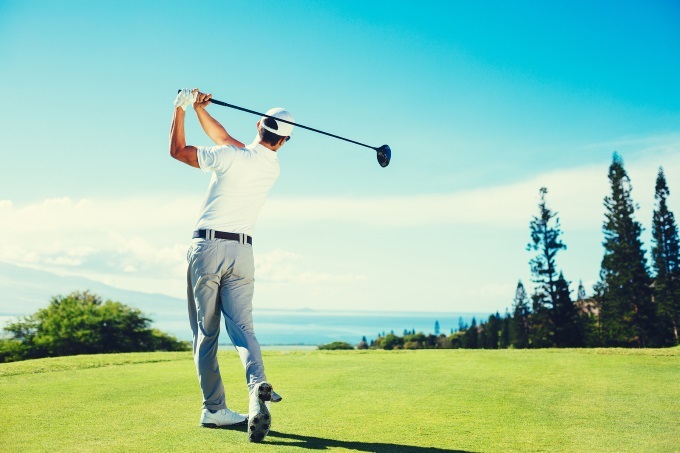 Many golf tournaments are on public stations, and if you have a good cable or satellite package, you can find pretty much everything that you could dream of when it comes to watching golf on television. Having friends over to watch can be a fun thing once in a while. A golf tourney doesn’t have the same draw that Super Bowl does, but it certainly can be made more exciting when you have a group of dedicated friends over to enjoy some snacks and beverages while you watch. Having little party games going on can make it even more enjoyable, like friendly wagers on which golfer will be closest to the pin on certain holes, and so on. Fantasy golf has become a popular game. This combines the professional aspect of the sport with fan involvement in a way that you can’t duplicate just sitting and watching tournaments with friends. There are a number of different league option available, ranging from high stakes season long leagues to daily fantasy sports site leagues. You don’t need to play for money if you don’t want to, but having some sort of financial incentive to succeed does tend to make the games more competitive. You can have a small league with just your golfing buddies in it, or you can play in huge online tournaments. It really doesn’t matter which you choose, and there’s nothing stopping you from doing both, either. What it really comes down to is what you enjoy, and what helps you enjoy the PGA Tour and the rest of the sport more.